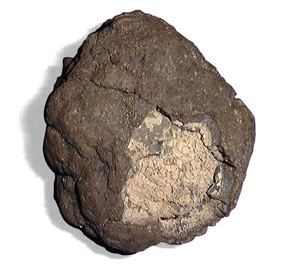 Manganese is present in many soils, rocks, and sediment, and found abundantly in many common grains and vegetables. It is a beneficial mineral and considered essential to human nutrition, plant and animal life. In deep water wells, manganese can be found in concentrations as high as 2 to 3 parts per million (ppm). In general, it is very difficult to remove from water because of complexes it forms that are dependent on certain states of oxidation, pH, and the presence of other minerals. It is particularly dependent upon the presence of iron. Concentrations of manganese of .05 ppm will cause brown or black stains on fixtures and laundry. The use of chlorine bleach can cause these fabric stains to set. High levels cause unpleasant tastes and odors. Organics tie up manganese in a way similar to iron, so destruction of organics is a necessary part of manganese removal. By the oral route, manganese is often regarded as one of the least toxic elements, although there is some controversy as to whether the neurological effects observed with inhalation exposure also occur with oral exposure. Several case reports of oral exposure to high doses of manganese have described neurological impairment as an effect, but the quantitative and qualitative details of exposure necessary to establish direct causation are lacking. An individual who took large mineral supplements over several years displayed symptoms of manganism. Ion exchange—sodium form cation softening—or oxidation/filtration are the most common methods of manganese removal. Removal with a softener requires a 6.8 pH or higher and use of soft water regeneration is best. For oxidation, it takes one ppm oxygen to treat 1.5 ppm manganese. A greensand filter with potassium permanganate will remove up to 10 ppm if the pH is above 8.0. If the pH is 8.0 to 8.5, birm with aeration will remove manganese well. Chemical feeding (chlorine, hydrogen peroxide) followed by up to 20 minutes contact time, then filtering through greensand, carbon, or filter ag will also remove manganese.